A loan of $650 helped to buy seed and fertilizer for his farm. With his desire to help his wife raise their standard of living, Ferdinand engages in farming. He is 47 years old, married, and has four children. His wife is a vendor. Since they got married, 25 years ago, Ferdinand has grown rice on their farm. Due to high cost of farm inputs, Ferdinand is encountering financial constraints. 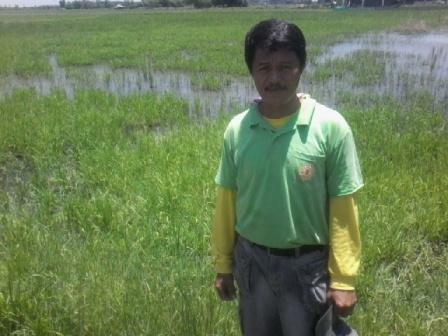 Therefore, he is requesting a loan of 30,000 PHP to buy seed and fertilizer for his farm. He doesn’t dream of anything but to reap enough to enable him to meet his children's needs in schooling.